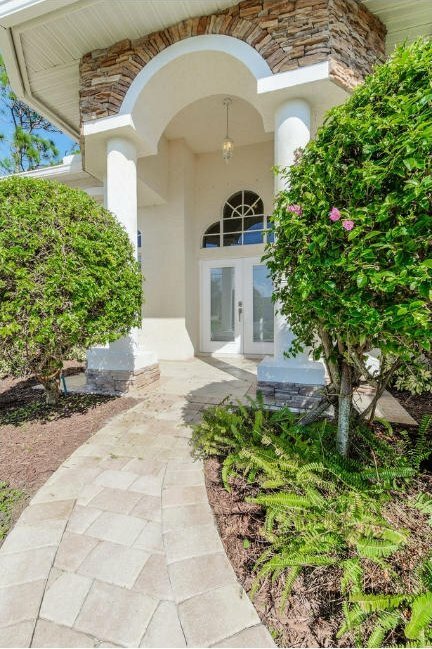 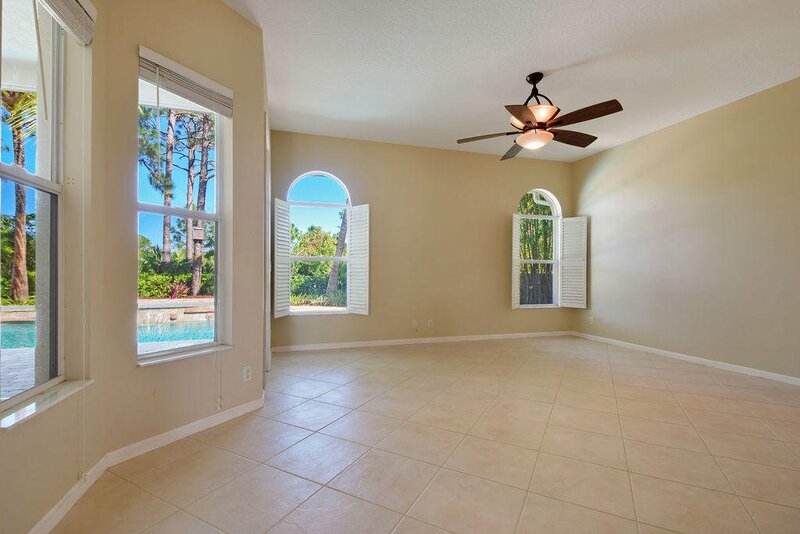 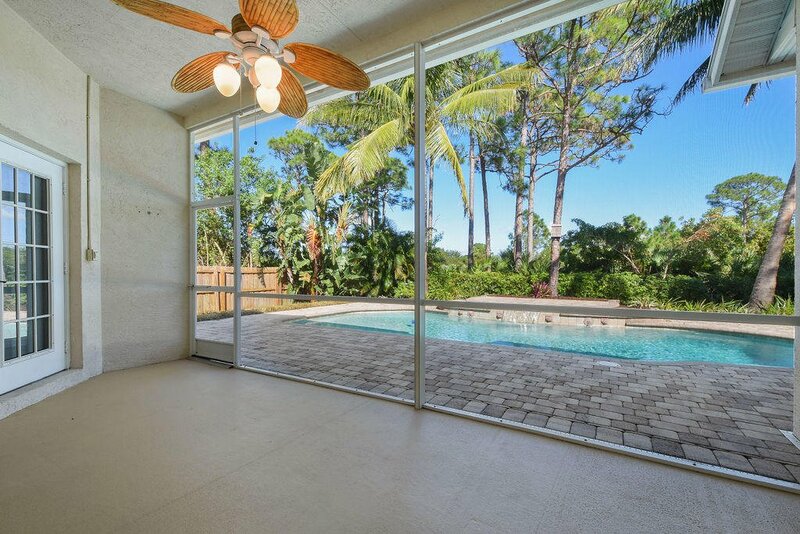 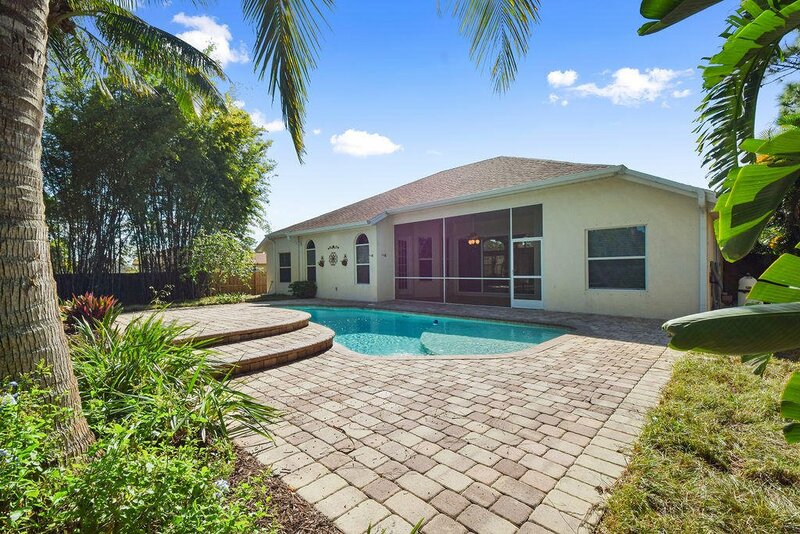 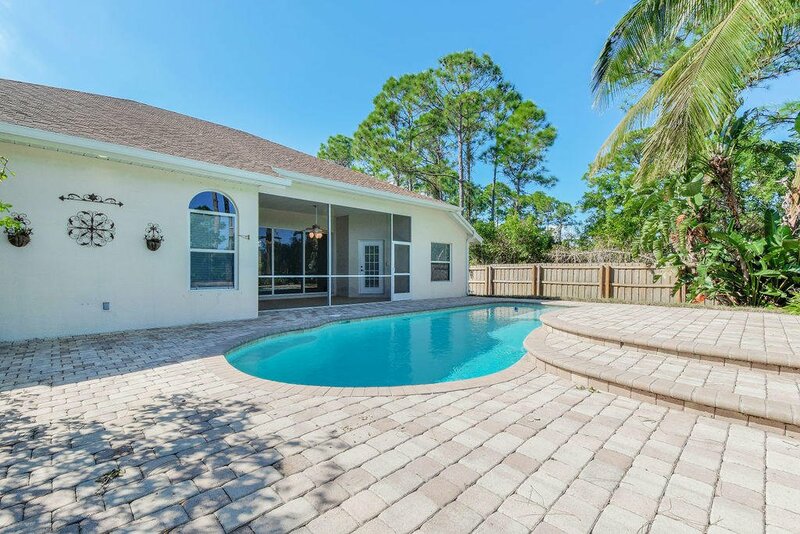 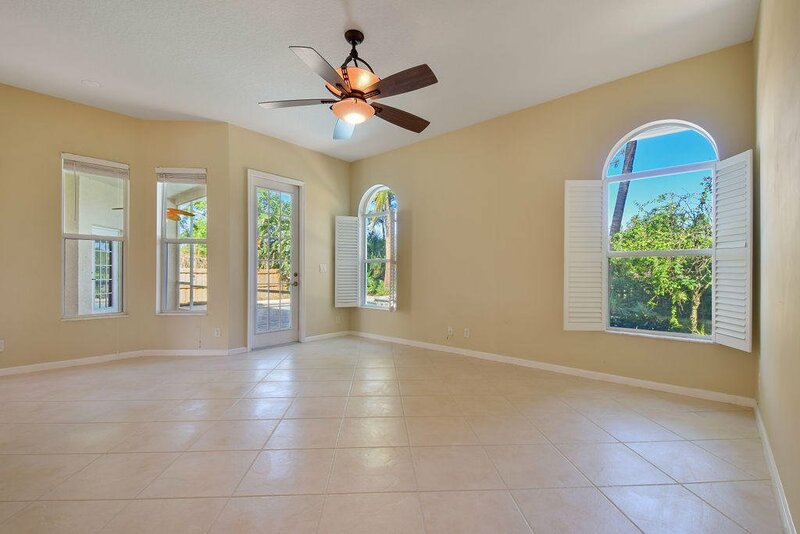 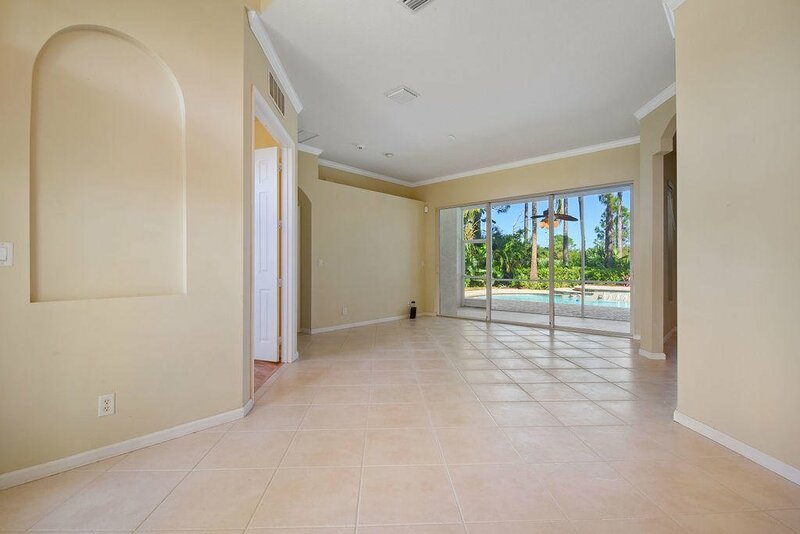 A tropical pool view greets you when you enter this striking Port St Lucie home. 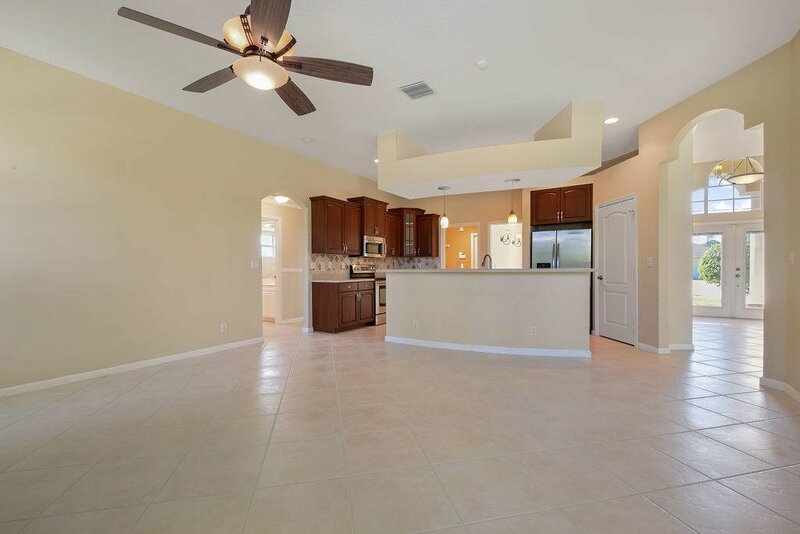 There are three bedrooms and a separate den, an open kitchen to the family room, and a separate living and dining room. 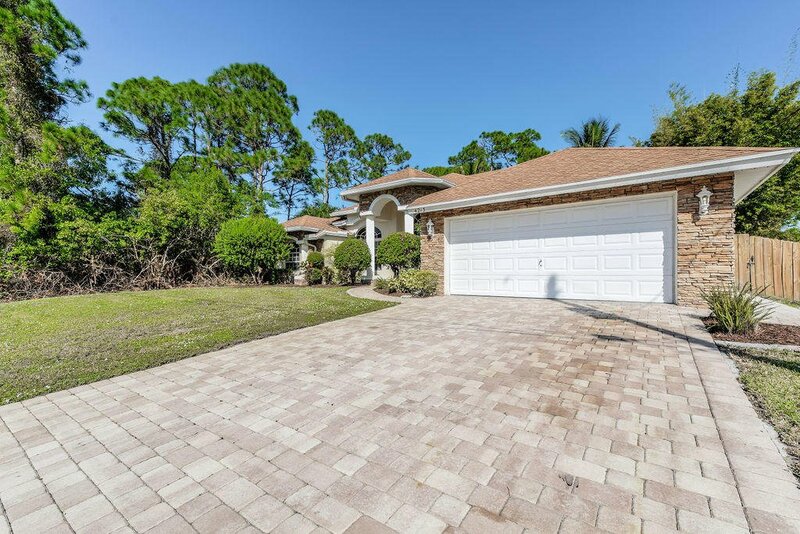 Let's start at the beginning - out front you'll find custom landscaping and a brick paver driveway. 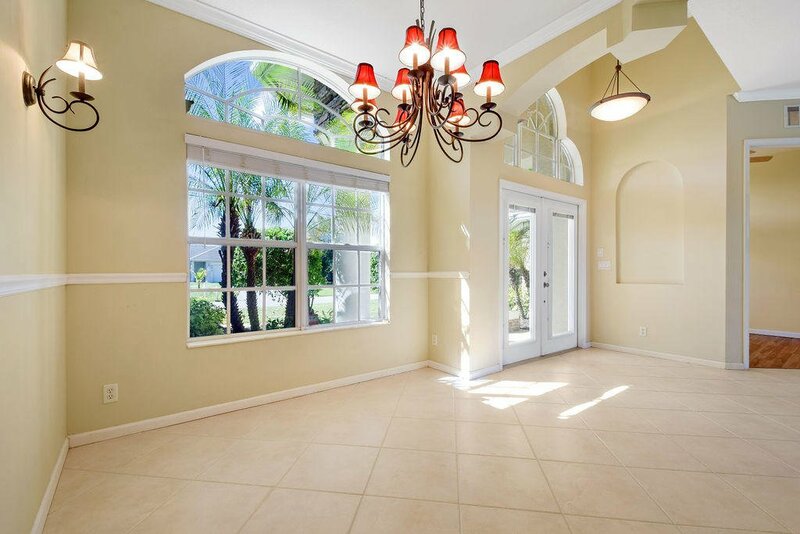 Tall, stately columns bring you to a double-door entry, and then a welcoming in to a large living room. 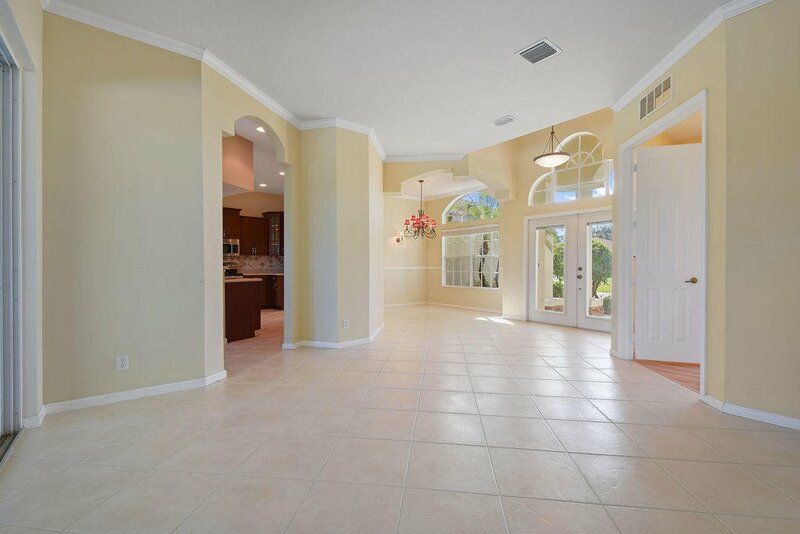 The tile through all the main areas is laid on the diagonal. 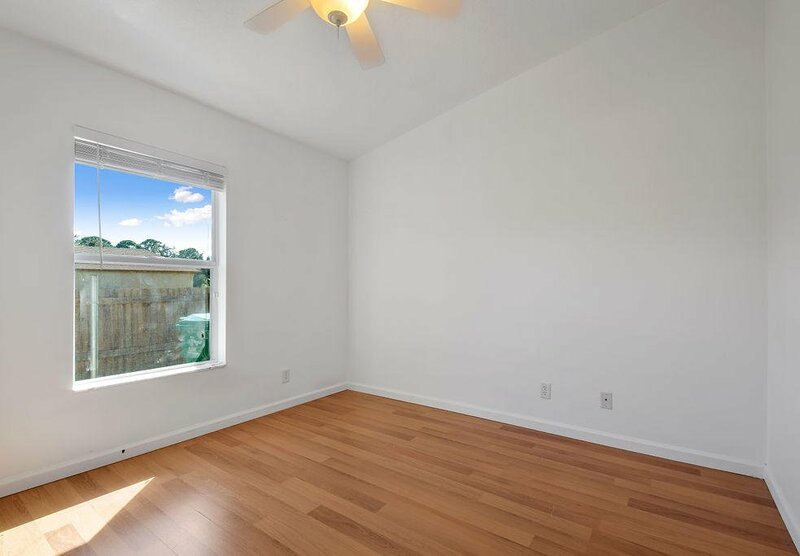 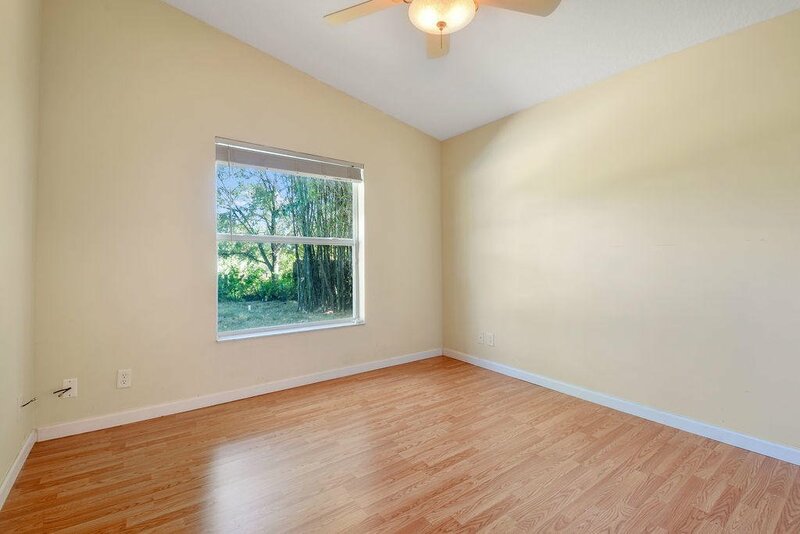 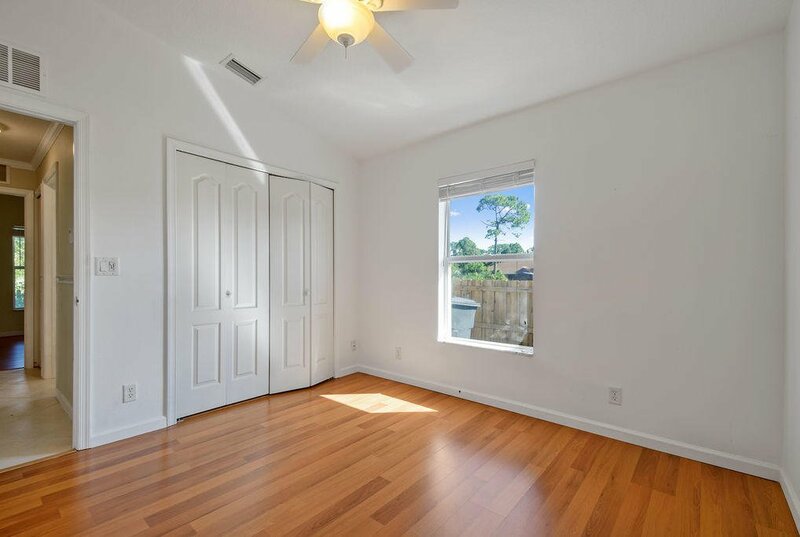 All bedrooms have wood laminate flooring. 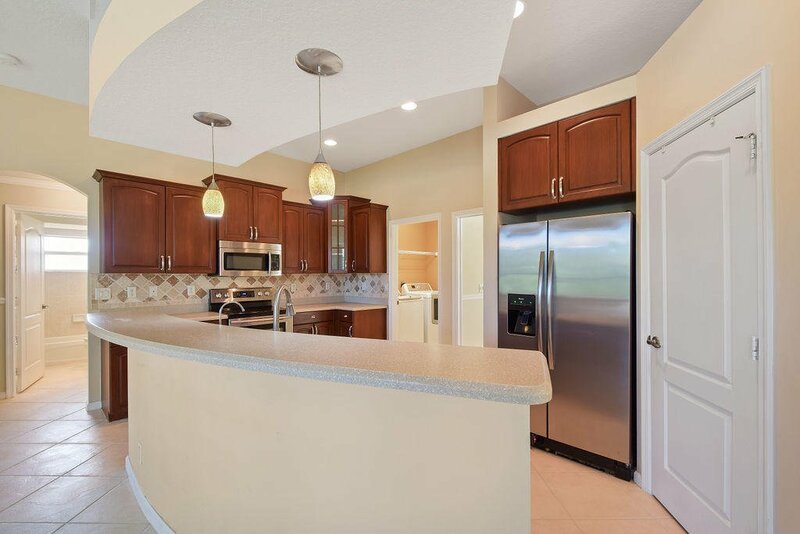 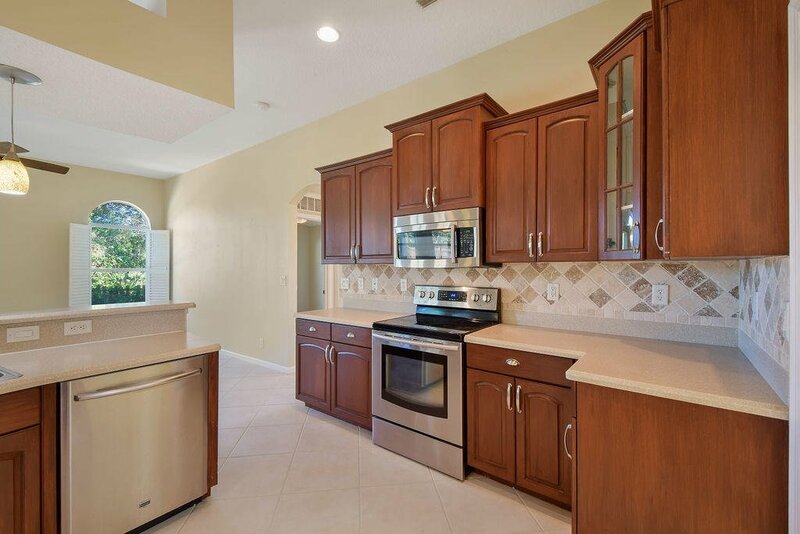 In the kitchen you'll find corian counters, stainless appliances, and a generous pantry. 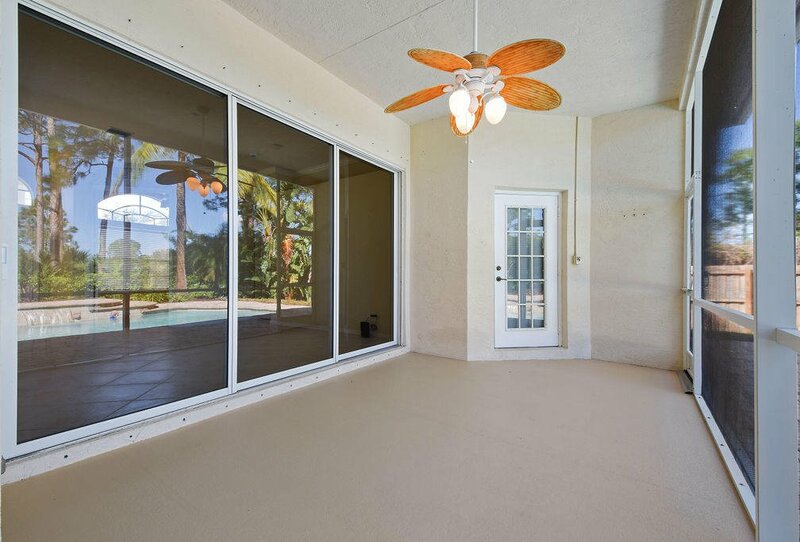 The covered and screened patio looks out to the swimming pool. 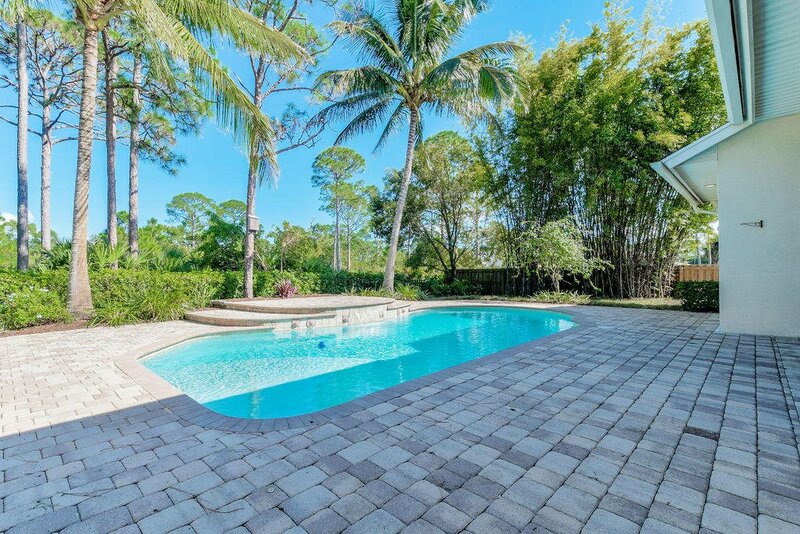 Brick pavers encircle the pool and the yard is fenced. 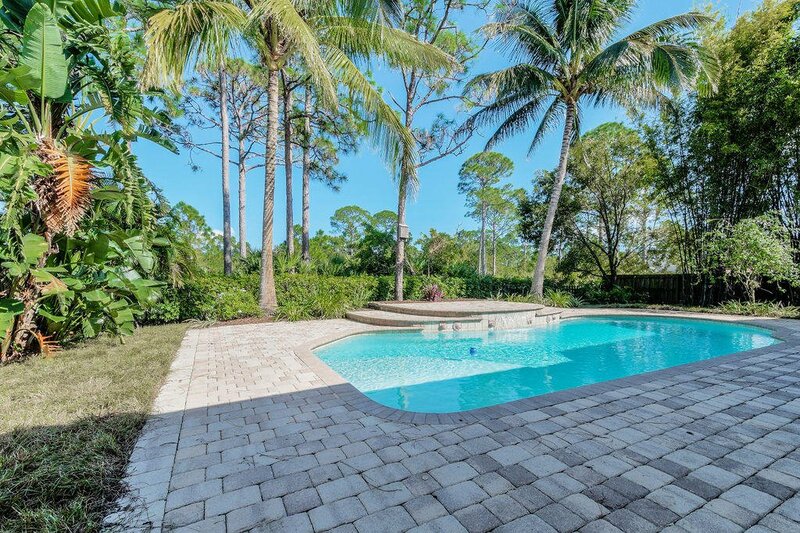 Native pines and palms can be seen beyond the pool. 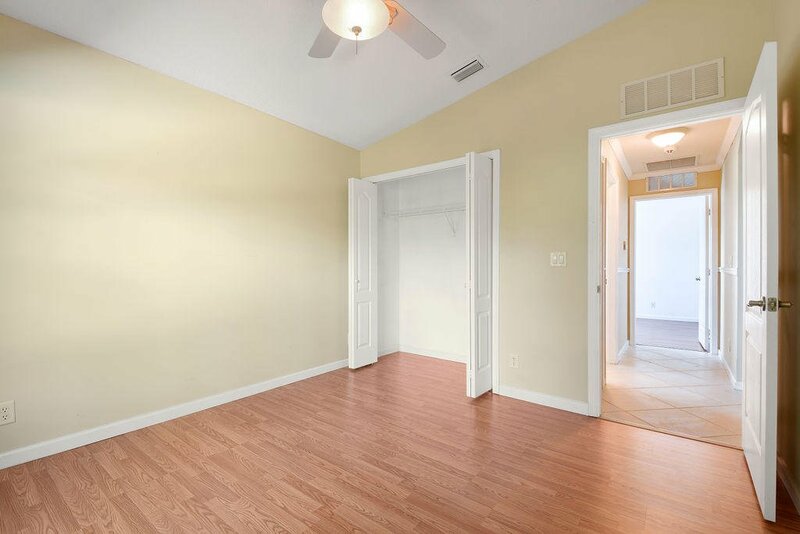 The master suite is plenty spacious so bring your big furniture to fill up the ample bedroom. 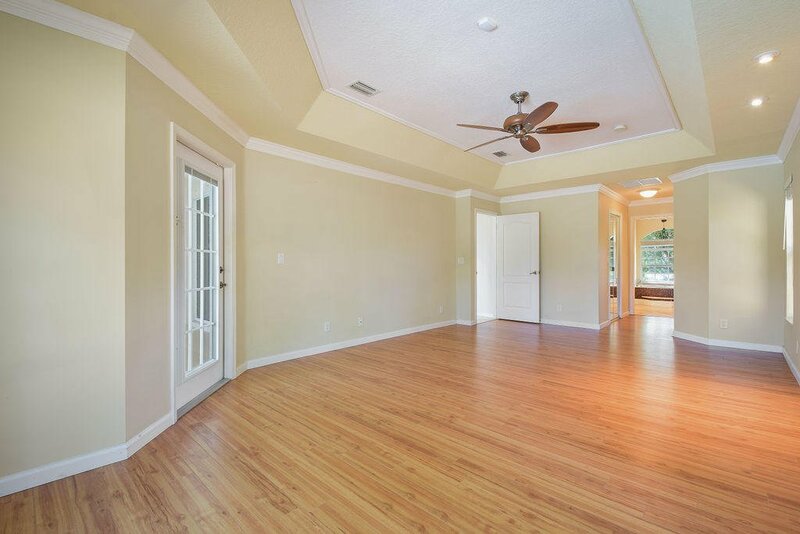 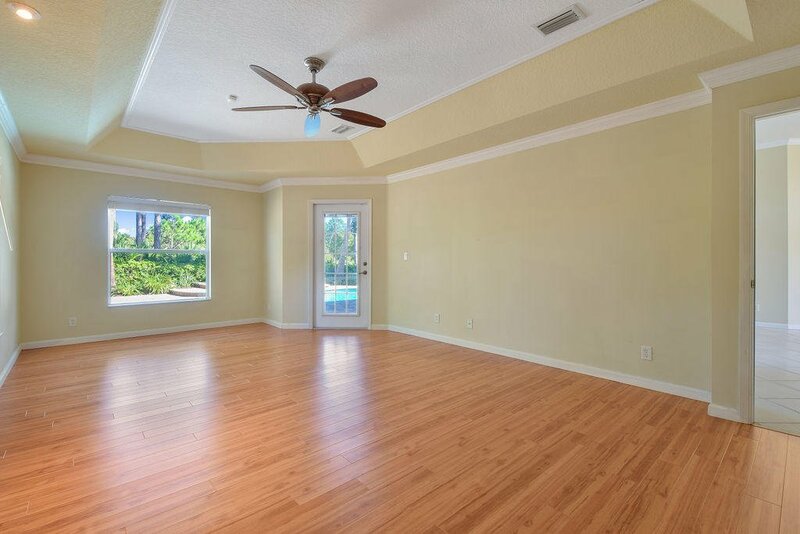 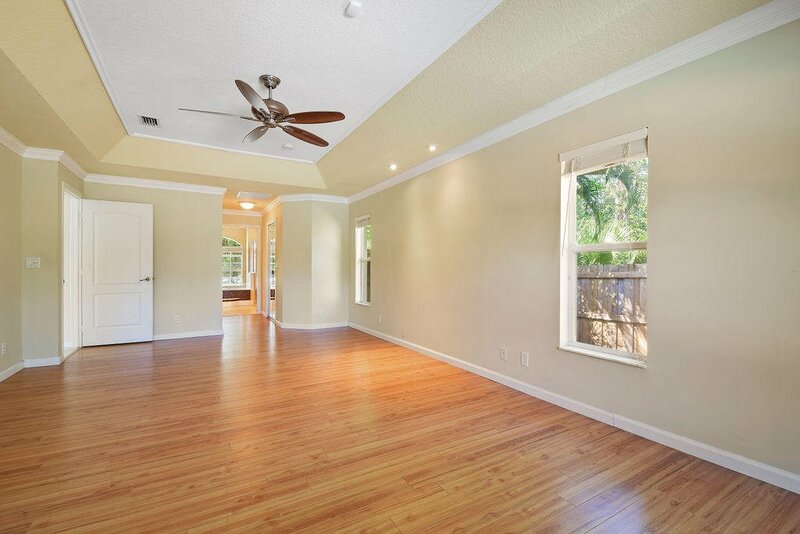 There are elegant coffered ceilings, crown moulding, and a french door exit to the back patio. 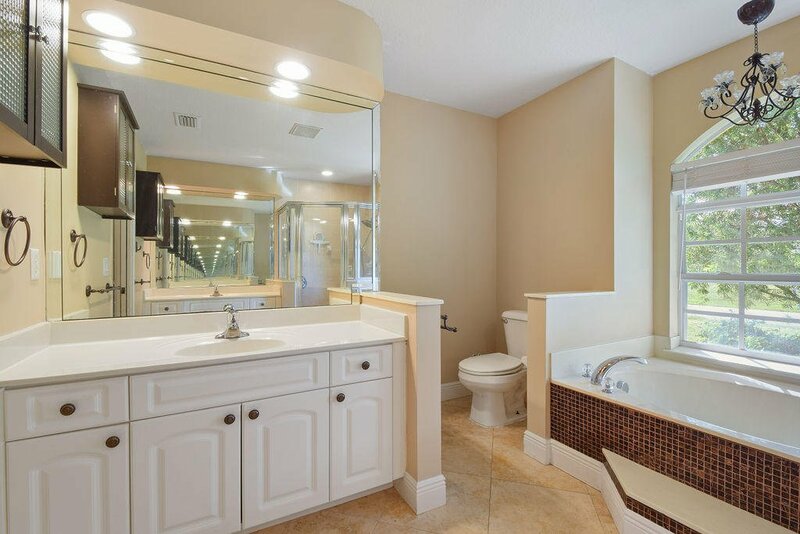 There are two walk-in closets as you pass through the hall to the master bath, which has dual sinks, a soaking tub, and walk-in shower. 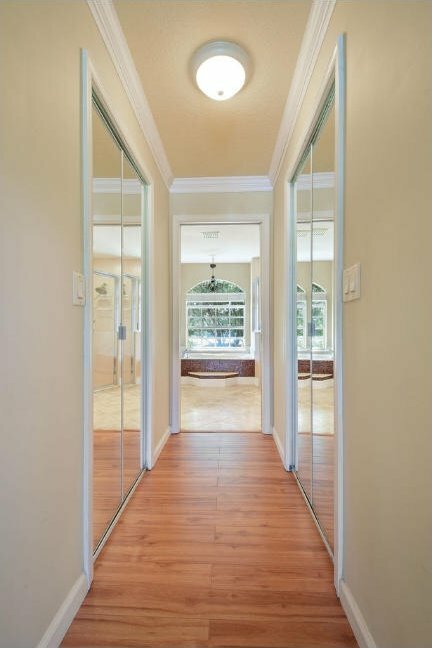 The den has double doors to close off the space when in use as an office or study. 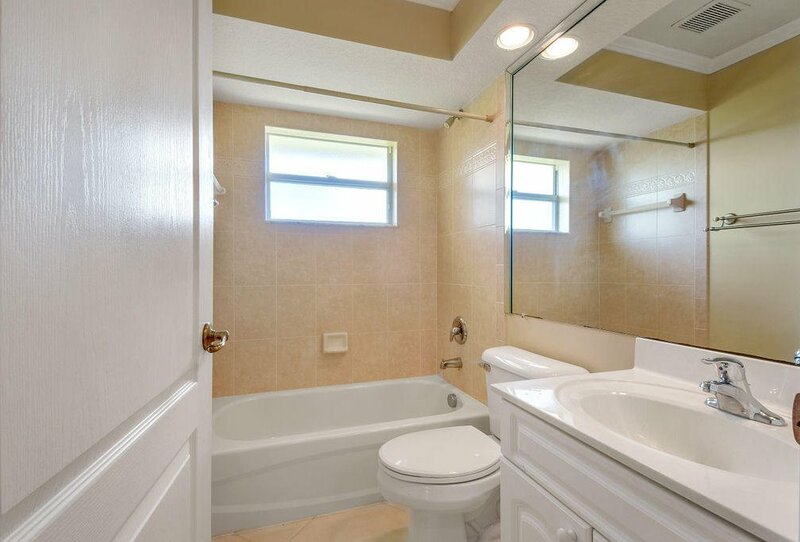 Bedrooms two and three are on the opposite side of the home and share the second guest bathroom. 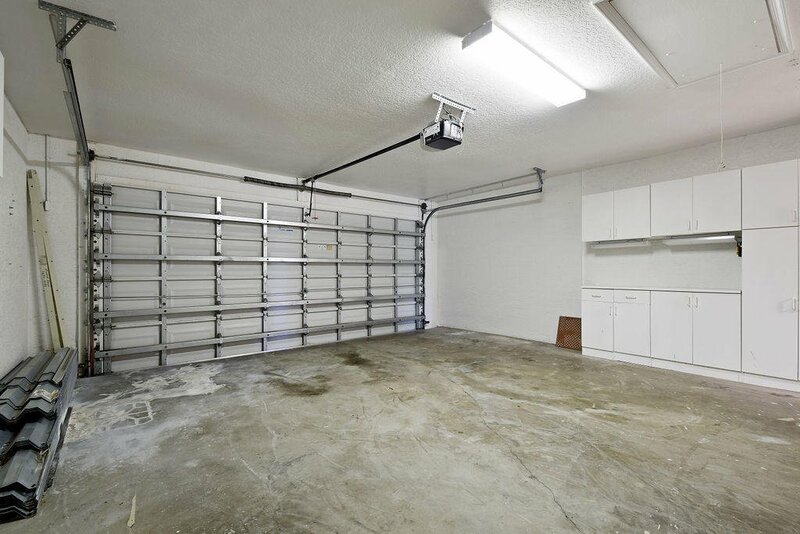 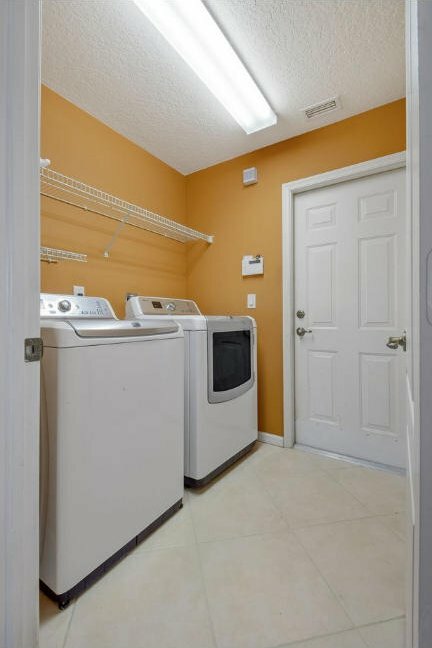 The utility room, with washer and dryer, is just off the garage and leads directly in to the kitchen making a trip to the store easy by hauling the groceries right to the kitchen from the garage. 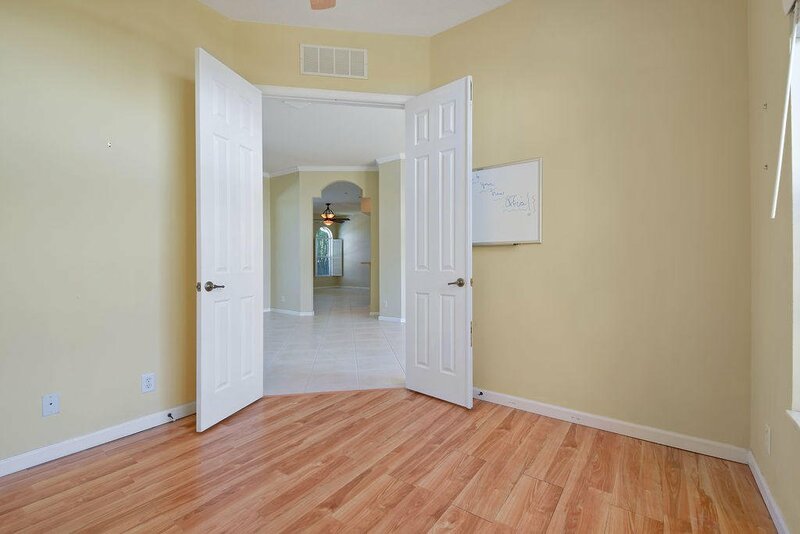 There is a Ring doorbell system. 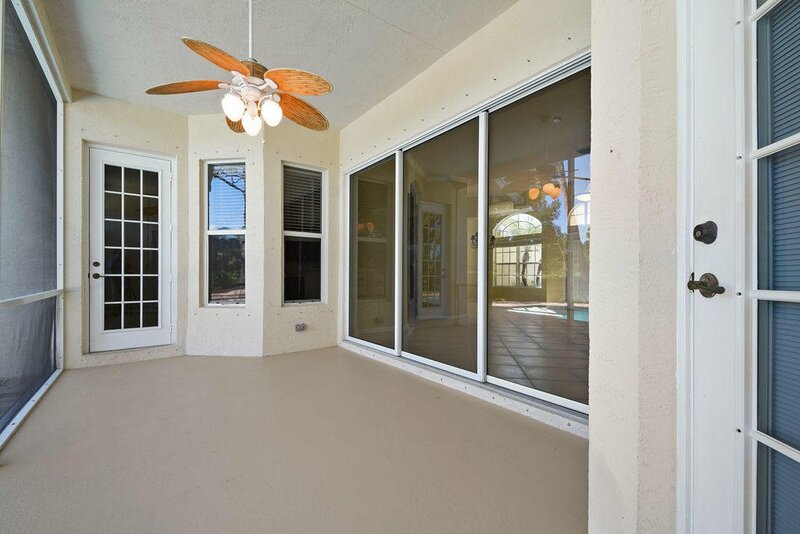 Gutters have been installed. 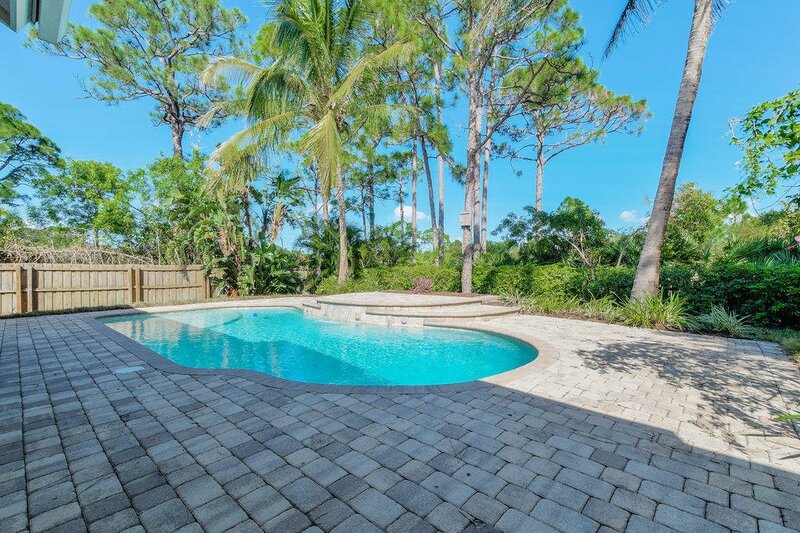 The pool can be converted to a salt chlorination system with the on-site equipment. 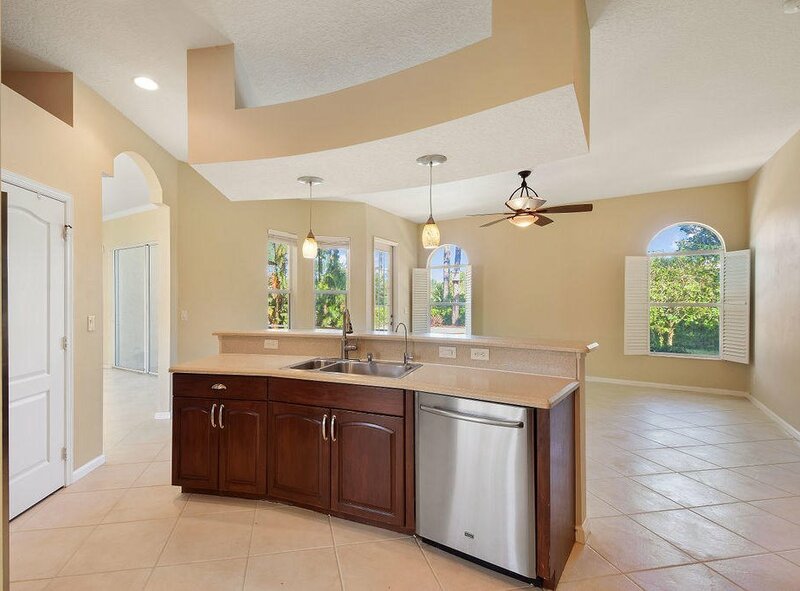 There is a three-stage reverse osmosis water filtration system. 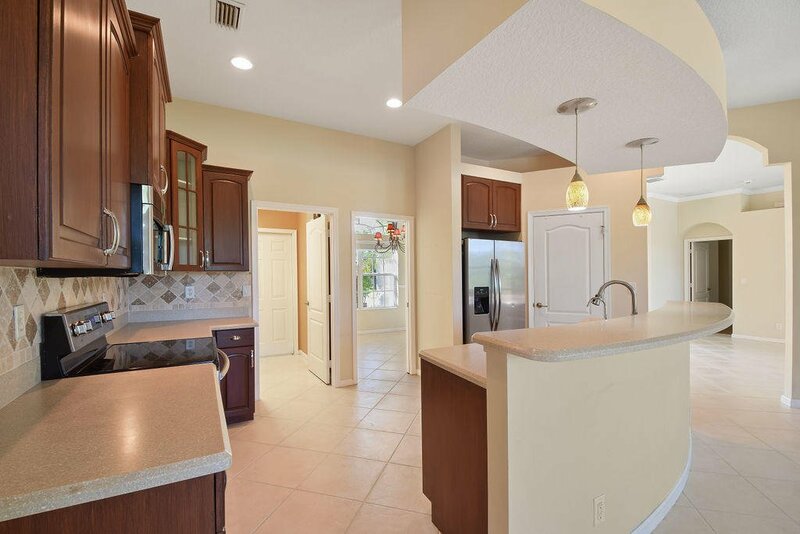 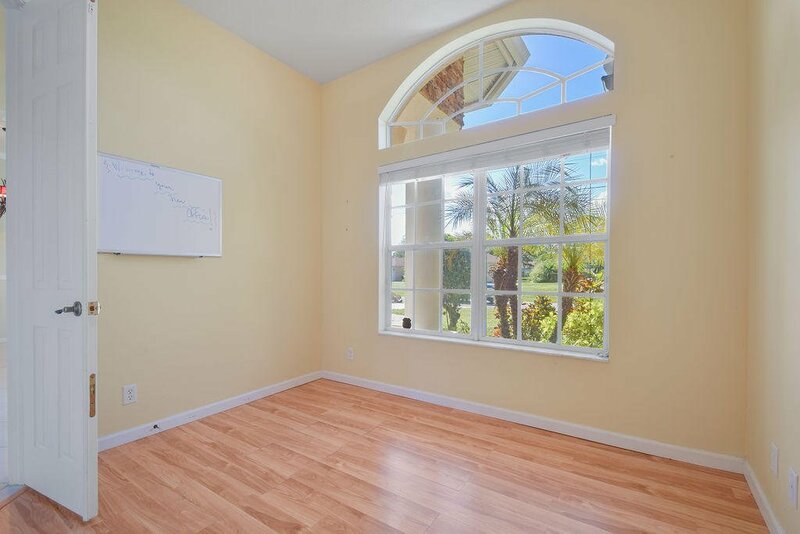 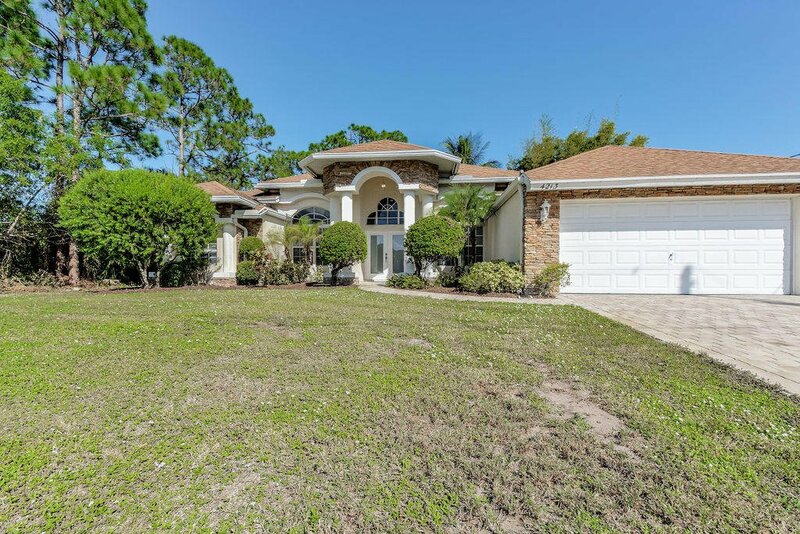 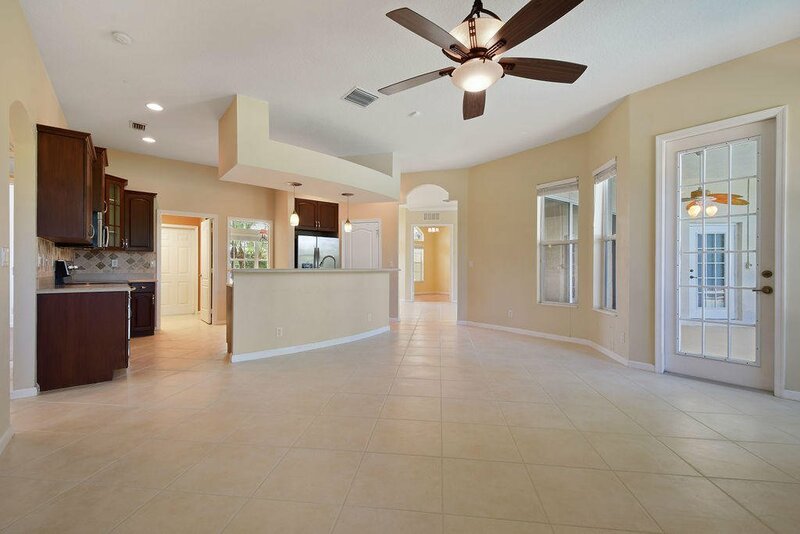 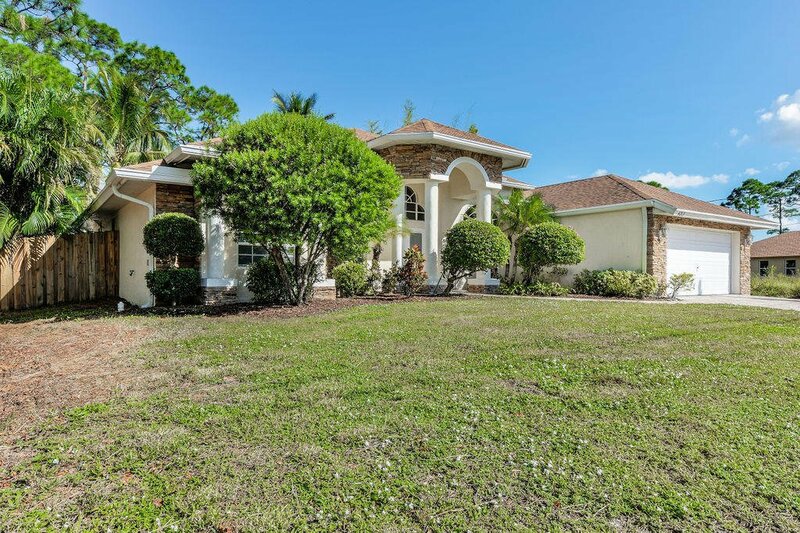 This home is just off Paar and Savona, a central and desirable location in western Port St. Lucie. 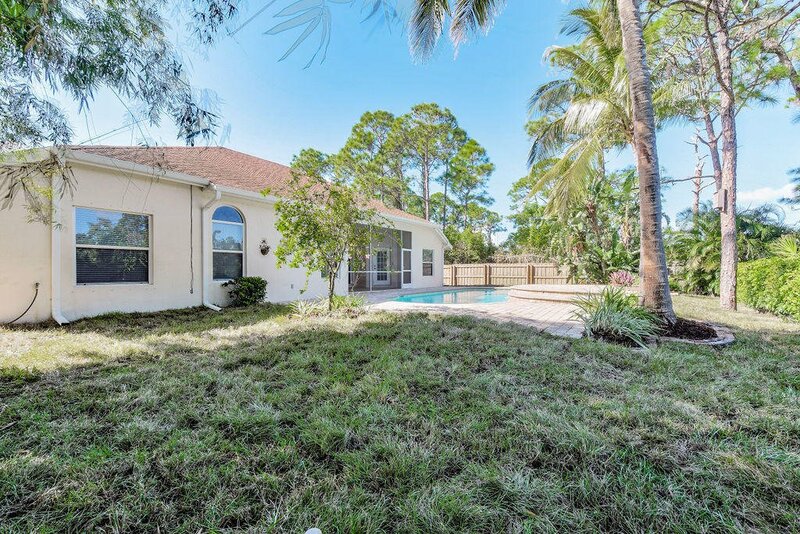 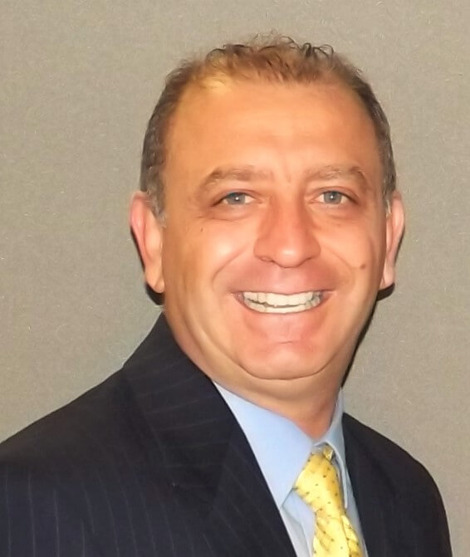 Access to Interstate 95 is a snap in just 3 miles off of Becker Rd. 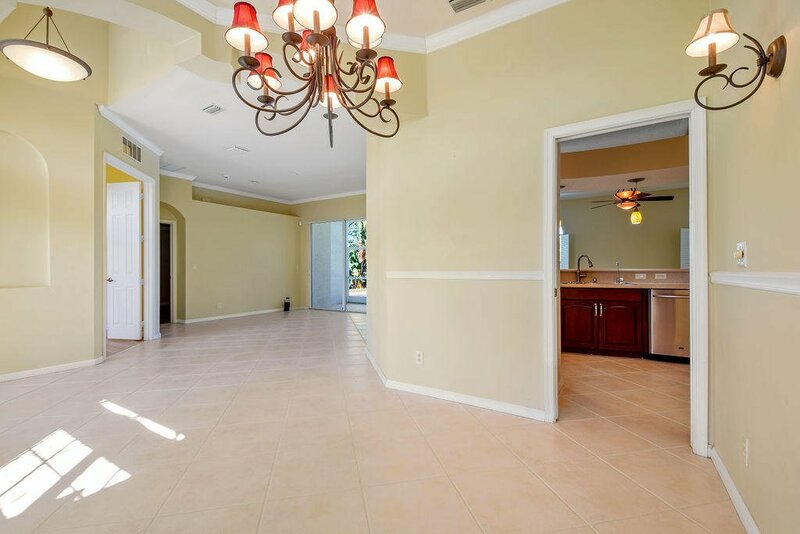 Enjoy the shops, restaurants, and entertainment of Tradition within 6 miles and St Lucie West in less than 10 miles.